After learning about paper circuits at Create Make Learn 2016, Swanton Elementary School Art Teacher, Jenny Jacobson had an idea! What if her 4th grade students could make their town glow! After ending every Create Make Learn session with an IDEATE time, Ms. Jacobson knew she wanted a place for her students to imagine possibilities -so she used chalkboard paint to create an IDEATE board outside her classroom. The new IDEATE chalkboard was the perfect place for her 4th grade students to create a bird eye view of the landmarks in their town (Swanton, Vermont). Each group of students selected a landmark and then grabbed their Chromebook to locate it on Google Maps. They then used their sketchbook to create sketches of their landmark using multiple perspective, including signs, logos, doors, windows, etc. With the help of Ms. Lumbra, the school math specialist, the students observed the number of stories each building had and talked about scale and the height of each landmark. After a demo of how to create paper models and the safe use of an X-acto knife, the students worked on designing, creating, cutting, coloring a model of their landmark. It was important that each model had an empty bottom and that all the coloring and drawing on the building was complete before they added one coat of Mod Podge to strengthen their building. On the 4th day of the project, Ms. Jacobson showed students how to create a simple circuit with LEDs, copper tape, and a battery. The students practiced laying out painter’s tape before they were instructed to trace around the foundation of their landmark building on a piece of cardstock. Their next step was to pick up a coin cell battery, LED, and some copper tape and use the following guideline to create a paper circuit that fit inside the box they had outlined on their cardstock. The next step was to bring their newly created circuit and place it on a large scale cardboard outline of the town of Swanton using Hot Glue. Only the circuit (not the their building) was glued to the cardboard map. As students waited for others to finish their building, they started to draw in additional details on their town map including trees, signs, roads, and even people. When everyone had finished their landmark and tested their circuit on the big map, it was time for the big finale! Turn off the lights and WATCH SWANTON GLOW! 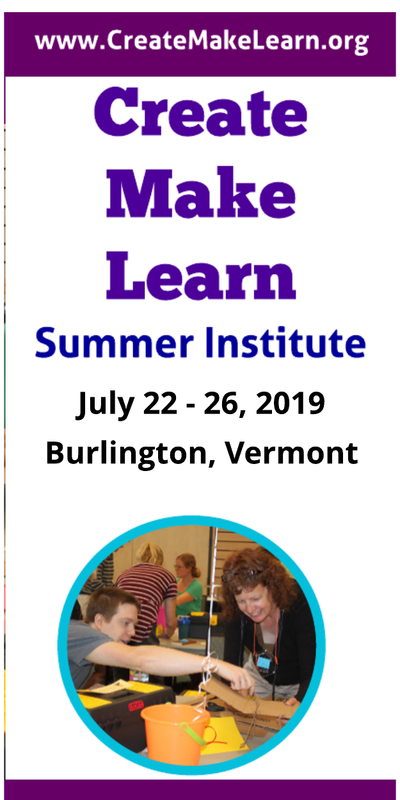 Jennifer Jacobson’s thoughtful approach in this maker centered integrated learning aligned to several standards from math, science and visual arts. VA:Cr1.1.4a (Fourth Grade) Brainstorm multiple approaches to a creative art or design problem. 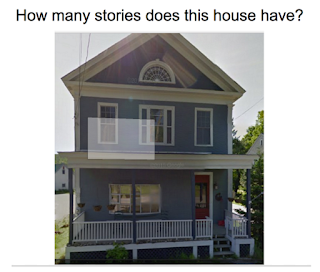 4.OA.1 and 4.OA.2, which is where students begin to understand multiplicative comparison. Multiplicative comparison is foundational for understanding multiplication as scaling. Students determine, using the words, times as much, the length of one side of a rectangle as compared to its width. 4.MD.3, which is where students build understanding of area and perimeter and then apply their formulas for rectangles in real world and mathematical problems. 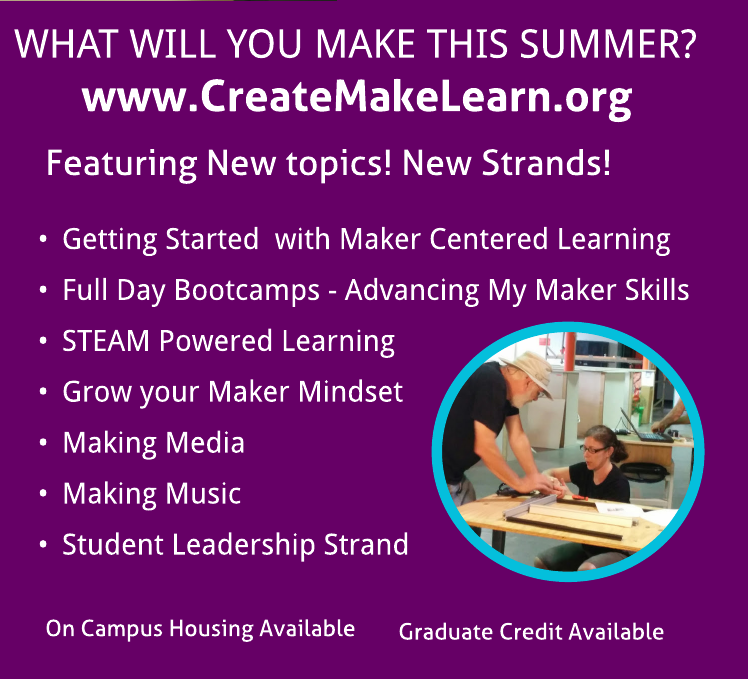 Jennifer’s own thoughts about the maker centered learning opportunity she created during Create Make Learn 2016 really captures the importance of the “A” in STEAM! As a consumer, you would never purchase a chair if you did not find it “aesthetically pleasing”. Of course it needs to be comfortable, ergonomic, and functional but if it is the unattractive color or an itchy material, are you really going to invest money into it?! That is why the “A” in STEAM is so significant. In my STEAM project, “Swanton Glows” fourth grade students at Swanton Elementary are not necessarily designing and selling a product but they are recreating their hometown, which has a lot of meaning to them, especially coming from a small town in Vermont. A lot of my students find refuge at all of the engaging, free workshops the Swanton Town Library provides, or Friday night pizza at Shaggy’s Pizza Shack. And really at the center of the town is the school, Swanton Elementary. It is my hope that this cross curricular project ignites an understanding within my students that this project is not just about the architecture or the circuits but really how multifaceted this world can be.